A New Year's resolution is a tradition in which a person makes a promise to do an act of self-improvement. Some take this New Years resolutions seriously, some bid it farewell just after the clock strikes twelve. 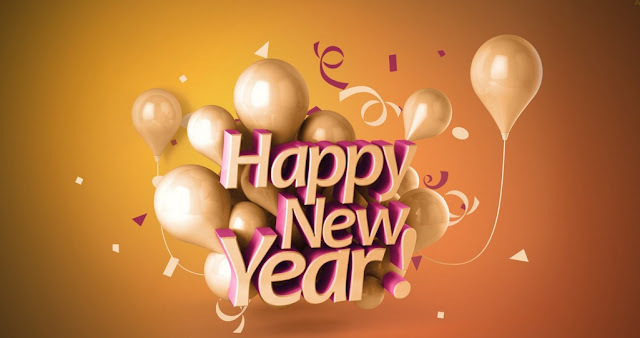 A New Year 2016 resolution is generally made during the celebrations of New Year eve. It is said that the Happy New Year resolution is bound to be broken and this is the main reason, why most of the Happy New Year 2016 resolutions are considered as funny. Here are some Funny New Year resolutions Ideas for you friends. Want to impress your friends with funniest ever New Year resolution ideas? Well, this section is completely dedicated to it. At this place you will find the funny ideas to leave your friends die laughing. Let's dig into the section of Funny Resolution Ideas for Happy New Year 2016! And make your beloved friends roll in the aisles. o Do not bore your boss by using the same excuse for taking leaves. Think of some more innovative excuses. o Stop sending friend requests to hot girls/boys. o Think of a password other than “password” or your phone number, birthdate, car number. o Stop considering other people’s feelings when they so obviously don’t consider yours – if an unwashed fellow sits next to you again, tell him he stinks. o Do less laundry and use more deodorant. o Spend less than one hour a day on the Internet. o When hear a funny joke, do not reply or laugh. o Try to figure out why you really need ten e-mail addresses. o Do not take medicine just because it looks like candy. o Regularly wash your underwear. o Watch more TV. It’s very educational. o Play more computer games. Scientists say they’re good for you and improve your visual skills. o Eat more nice things like candy, Subway, Big Macs, popcorn, and ice cream. Eat less crap like fresh fruit, vegetables, and soy nuts. o Promise to stick to these resolutions for more than a week. Here are some funny resolutions you can take for this New Year. Hope you all have liked these crazy resolution ideas. But if you are seriously thinking for some real resolution stuff, note it down and go for them. For more Happy New Year 2016 related posts keep logged in to our website.